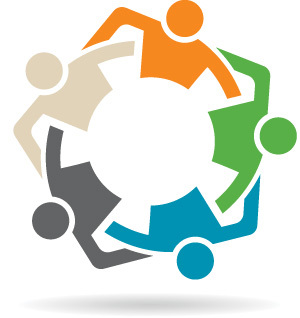 Collaborate Law is a dispute resolution process where the parties select a team of professionals to help guide and support them to arrive cooperatively at a mutually satisfactory solution without resort to litigation. The parties agree to maintain open communication and information sharing and to create shared solutions acknowledging the highest priorities of all. Most frequently used in family law, collaborative law is also effective in in contract disputes and for partnership /organizational dissolutions. This service is offered by Stefanie Beninato who lives in Santa Fe, New Mexico. Each party selects and retains a lawyer trained in collaborative practice. The process typically involves “four or five-way meetings” with the parties and lawyers and possibly another professional. The first “four-way” includes discussion of the process, the goals for each party in engaging in this process, and the signing of the collaborative agreement. There is opportunity throughout the process for each party to express their understanding of events and their needs, interests and concerns. Another meeting will allow the parties to express their needs, interests and concerns for the purpose of crafting a cooperative mutually satisfactory agreement. The team will set up a schedule for information exchange if necessary. Often the parties pick a financial neutral whom they visit together to give and receive information and ask questions. The financial neutral will make suggestions that will further their economic interests and needs. Another four-way meeting may be held to discuss the parenting plan. Sometimes because of polarized positions, the parents employ a child specialist to make suggestions after interviewing the parents (parties) and their children. The child specialist may attend this meeting. A five-way meeting may result to discuss and implement the financial neutral’s suggestions. Agreements will be reduced to writing and signed by the parties. Parties’ lawyers agree as to responsibilities concerning drafting and filing the court documents and any follow-up documentation required to implement the agreement. It may take more than one meeting to arrive at an action plan based on any given set of recommendations. If the parties stop the collaborative process, the contract forbids any of the professionals on the team from continuing on in the parties’ employ on the case. Professional debriefs after each meeting is an expected part of the collaborative process. Discourages use of litigation which can be more time-consuming, expensive and stressful.